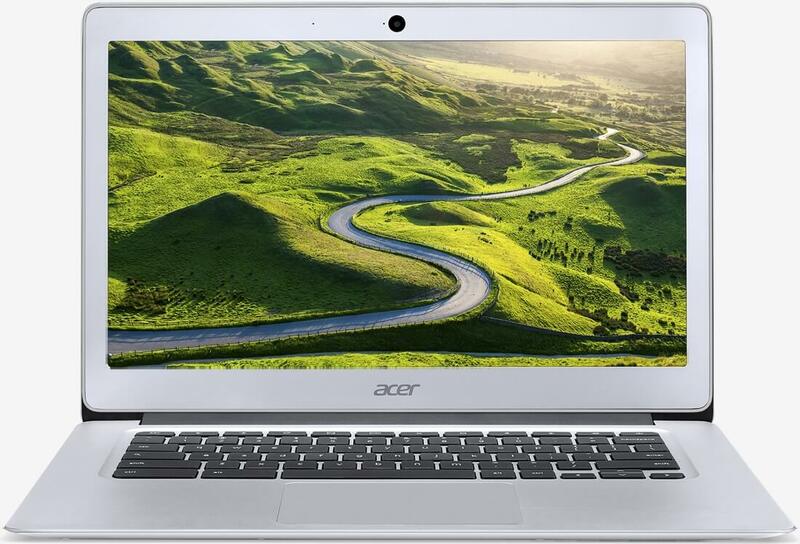 Acer on Tuesday announced its first-ever 14-inch Chromebook, aptly named the Chromebook 14. The firsts don’t stop there as this portable is also the company’s first to ship with an all-aluminum chassis. The Acer Chromebook 14 can be equipped with either a standard (1,366 x 768) or a full HD (1,920 x 1,080) IPS display that’s powered by your choice of an Intel Celeron quad-core or dual-core N2060 processor with up to 4GB of RAM and either 16GB of 32GB of eMMC storage (in addition to 100GB of free Google Drive storage). Other notables include dual-band 2x2 MIMO 802.11a/b/g/n/ac Wi-Fi, Bluetooth 4.2, two USB 3.1 ports and an HDMI port. Acer says its new machine gets up to 12 hours of battery life with the full HD display and an impressive 14 hours with the standard display – all wrapped in a package that measures 0.67 inches thick and weighs 3.42 pounds. It’s also completely silent as it uses a fanless cooling system and there’s no mechanical hard drive. Acer plans to offer several models of its Chromebook 14. The premiere model with full HD display, 4GB of RAM and 32GB of storage will set buyers back $299.99 and is available to pre-order from today at Amazon (it’ll be available on Best Buy’s website next month). No word yet on how much other configurations will retail for or exactly when the system will be available.